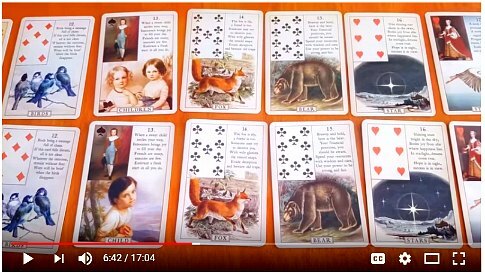 This video reveals the changes to the beautiful Blue Bird Lenormand deck when compared to the 1st edition. which will be available from U.S. Games Systems, Inc. in 2018. This deck is now available through https://www.usgamesinc.com/Blue-Bird-Lenormand-tm/" target="_blank">U.S. Games Systems, Inc, and through booksellers. To view this video, click on the image above, or CLICK HERE to be brought to YouTube.